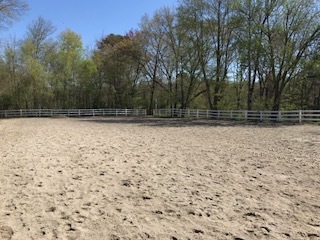 Here is a job we recently performed for a Dover home and barn owner who needed an arena graded. 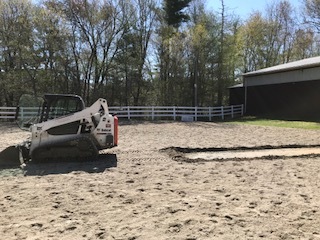 This client was looking to install a horse arena where it is important to keep the ground level. We love horses, so we had a lot of fun completing this project. It is important to keep you and your horses safe. It is always key to talk with a professional first when planning out your riding arena. We will ensure the area is suitable for grading and educate our customers on what to look out for when it comes to maintaining your arena. Choosing us for your grading projects means that you are working with quality equipment and tools necessary to complete the job. Why Choose the Professionals in Excavation and Grading near Dover NH? Give us a quick call! We would love to talk with you about your project. We’re here to handle all the tough parts of a job most people don’t want to deal with. You’ll find we are at just the right price and we love to assist Seacoast area homeowners. Give us a call or simply leave us a message below!